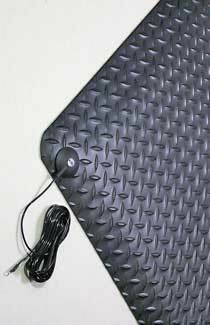 Conductive/anti-static matting is formulated to absorb static electricity. Simple worker tasks: working, walking or even sitting on certain types of stools create static electricity. If left unchecked, static will pass from the worker to sensitive equipment potentially creating damage to computer chips and electric circuitry. 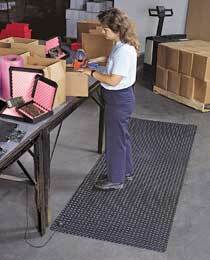 This matting drains static from the worker thereby safeguarding equipment.